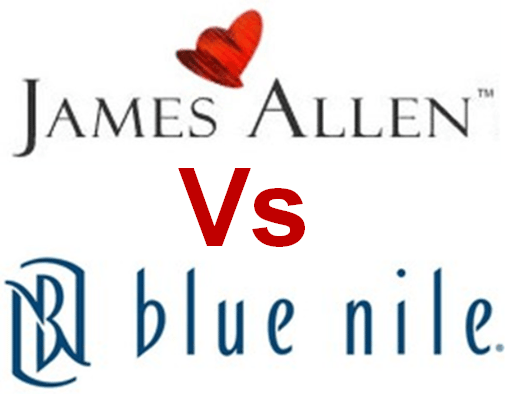 James Allen vs. Blue Nile - Which One is Better in Direct Comparison? When you decide to really get into diamond shopping, you’ll be presented with choices after another. And one of the first selections you’ll make is between a brick and mortar store and an online diamond shop. Reading this right now, it’s pretty obvious which one you chose. Good on you! Now, within the digital diamond shopping realm, the two most prominent choices are James Allen and Blue Nile. Like your first selection, it’s a battle between the old and the new. Blue Nile is considered as more experienced, while JA is a hip innovation. I talked about how James Allen appeals to millennials. Now, in this post, we’re going to look at Blue Nile’s approach, their overall service, and conditions of purchase compared to their younger rival. Which one is more suited to you? The biggest con in buying from the internet is you won’t see the product in person. But today’s latest technology has made diamond browsing even better than being at a jewelry store. If you can’t see the diamond in person, then a magnified imagery is just apt, so you could deeply see its totality. James Allen, on the other hand, offers real-life 360° videos of all their diamonds. If you hover with your mouse over a certain diamond, you’ll be able to see it from any angle you like. This way, you get to have an accurate impression of each stone and filter out the ones that caught your eye. 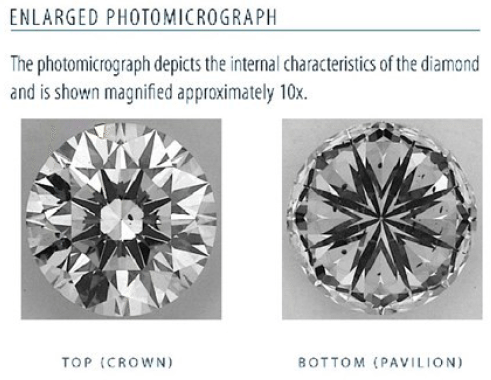 If you eventually click on the diamond, you may view from all sides in 20x or even 40x magnification! And you also get to see more than you would in a typical brick and mortar store where they only use a 10x loupe! Can you see how looking for diamonds at James Allen is an entirely different experience than Blue Nile? I think it’s more fun to see your potential diamond from every angle in 20x magnification. But aside from the amusement, it’s also more functional. 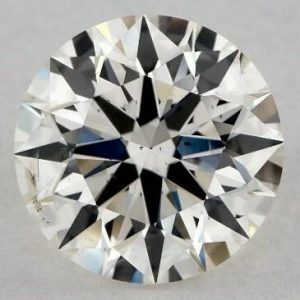 Because only by viewing the diamond from every angle will you be able to make out inclusions efficiently and thus, choose the best diamond for the best price! In my post about diamond clarity, I described how you could get the biggest bang for your buck if you choose an eye-clean diamond within the VS2 – SI2 range. And to make sure it’s eye clean, you must first see it. The diamond on the left is apparently a great choice and will definitely be eye clean. The tiny dots in the center that you can see due to the 20x magnification won't be perceivable by the naked eye. The diamond on the right, however, would be a poor choice and will look dirty to the naked eye. To make sure you have an eye clean diamond at Blue Nile, you will basically have to choose a VS1 diamond because, in rare instances, even VS2 diamonds can have visible inclusions. Although both diamonds above have the same cut and symmetry grades, it’s quite apparent that the diamond on the right would be the far better choice! If you take the time to click on both diamonds and view them from all angles, you will see that the diamond on the right also sparkles better! Viewing a diamond properly has so many more advantages like being able to compare colors to each other. 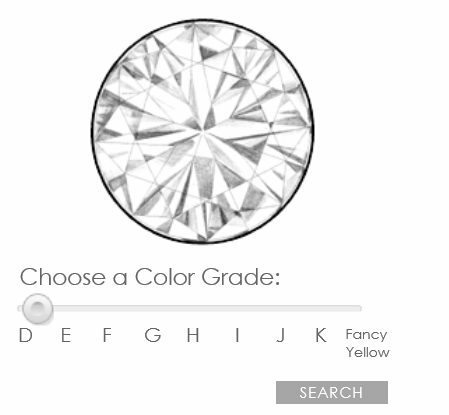 You can also gauge whether a particular diamond color is good or bad for its color grade. It is precisely for such reasons that I personally would never buy a diamond blindly. If you purchase without seeing real photos of the diamond, you might not get a great one. I feel like this is a major minus on Blue Nile’s part. On the other hand, when it comes to diamond and jewelry selection, Blue Nile has more to offer. If you’re searching for a new ring setting or fine jewelry as a gift, Blue Bile has both pre-set and design-your-own ring options. They also have pearls and gemstones which you can set into a ring. As for their diamond inventory, you’ll have more pieces to choose from. But at the end of the day, if you couldn’t see if the diamonds are eye-clean, quality still beats quantity. One of the main reasons James Allen and Blue Nile are head-to-head as the leading online diamond shops is because of their great pricing. Their quality diamonds are available to the masses, and they also have the highest grades for investors and diamond purists out there. But if we need to pick just one, Blue Nile is known to be slightly more affordable than James Allen. Blue Nile also has a Diamond Price Guarantee wherein if you find an exact diamond with a lower price, you’ll be refunded the difference – conditions apply, of course. It’s only natural to have lots of questions especially if it’s your first time (and hopefully the only time) buying an engagement ring. It’s worth a lot of money! That why it’s always good to have an expert at hand who can answer any question for you. Luckily, both Blue Nile and James Allen have impeccable customer service. James Allen offers 24/7 assistance. No matter what time of day or wherever you are in the world browsing diamonds, you can always count on an expert to help you. Their customer service is super fast that you would receive an answer in no more than 30 seconds! What I like most is that they will provide you with up to 3 different ASET/Idealscope analyses for free. This only applies to fancy shaped diamonds, though. Unfortunately, James Allen doesn’t give you the possibility to reserve a diamond anymore. Blue Nile’s customer service is also very dependable. They answer within 30 seconds as well! However, they’re not available 24/7. They also don’t provide ASET/Idealscope analyses. So, you will be left completely in the dark (pun intended!) on the light performance of the diamond. Then again, Blue Nile’s signature ideal diamonds provide a basic idea of the light performance, but this won’t tell you everything about the cut. The great thing about Blue Nile’s customer service is that you can reserve a diamond for up to 48 hours via chat! And upon your request, the diamond will then be taken off of their gallery, and if you’re ready to buy it, you’ll just have to call their customer service line. It’s definitely a tie in this category! Now, comes the part that most people don’t pay much attention to. The conditions can make a big difference, though! James Allen and Blue Nile both offer a “30-day money back guarantee”. Thus, you can be sure to get your money back as long as you send the diamond back within 30 days. James Allen offers free return shipping within the US. This means that you won’t have to pay for the insured return shipping if you don’t like the diamond! So, there’s no risk at all. Check out James Allen's general conditions of purchase here. Blue Nile will charge you $7 for the return. Though I think it’s a just a small price to pay if it will allow you to test your ring and choose an even better one for up to 30 days. People often trust pioneers or the first ones in the game, not necessarily because they’re the best, but because history and credibility go hand in hand. Blue Nile has been around far more than the other online retailers, and this makes them one of the pillars of diamond shopping. And despite having a huge inventory, they’re still able to serve quality customer service. However, if you’re as selective as I am, you know how important it is to see the diamond 4Cs from all angles. James Allen’s 360° high definition videos up to 40x magnification make them – hands down – the best choice when looking for a brilliant, affordable, and best of all, eye-clean diamond – flawless to the naked eye. Oh, and did I mention they have an inspiration gallery? I’ve picked my winner, but the ultimate choice is yours! Should you have any question, feel free to write to me or comment down below. Sorry about your stolen ring. 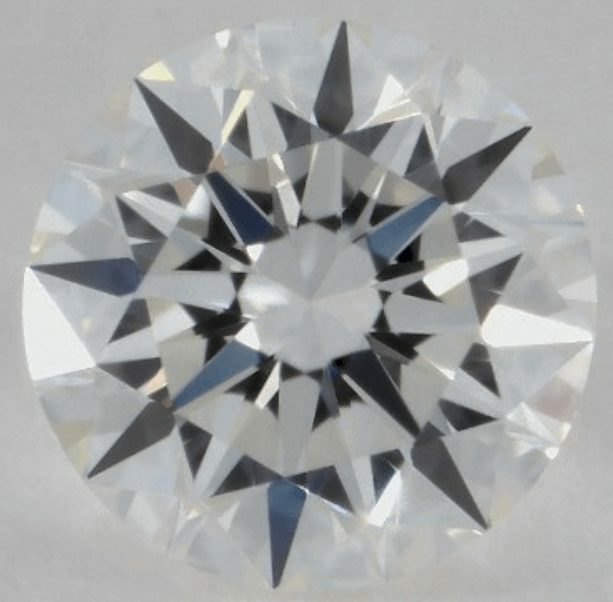 Good news is this new diamond you chose is beautiful and has excellent proportions! You can even go for as low as VS2 to save money and it will still look eye clean. 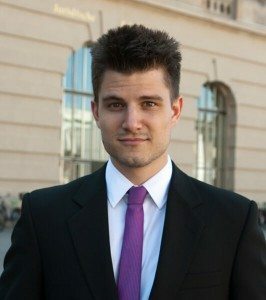 i noticed in your article you didnt mention which one is better to finance a ring? thoughts on that? Hello Anthony, thank you for your question. I would suggest speaking to a customer service representative to learn the details about their financing programs and decide which one betters suits you. Thank you so much for this article. Buying a ring on line is nerve wracking! 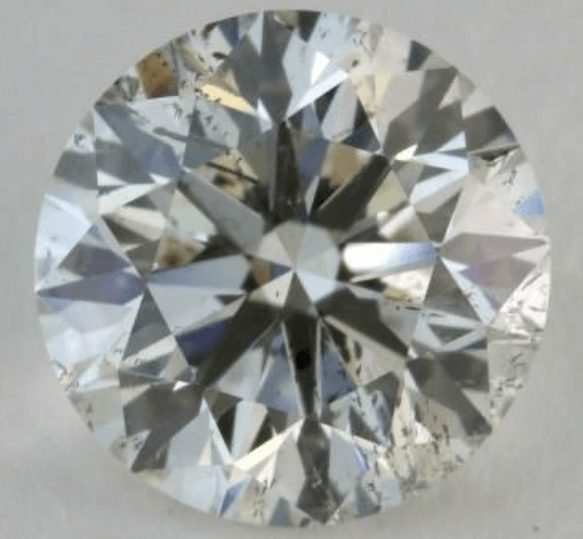 I’m looking at this diamond, I would love your opinion. My wedding set was stolen at an open house and I’m replacing a 1k D that was IF but only have a portion of what we originally spent due to a limit on my insurance…. the girdle is thick on this one.. should I be concerned? Congrats on your purchase! The details about your diamonds are indicated in the grading report. You may contact Blue Nile’s customer service as they have their own specialists to explain to you. Most brick and mortar stores also have in-house experts that you may consult. Nonetheless, you may leave your earrings’ cut proportions here and I’ll try to give you a detailed feedback. It seems that the one $4000 is a really good one compare to the $5800 – with $1800 saving. Although it’s SI, it seems it’s inclusion is very minimum. what do you think, i think the 4k one seems pretty good, very eye clean as a SI2. 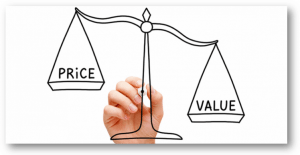 Between Blue Nile and James Allen, who offers better prices (comparing apples to apples)? It’s difficult to compare as no two diamonds are ever alike. 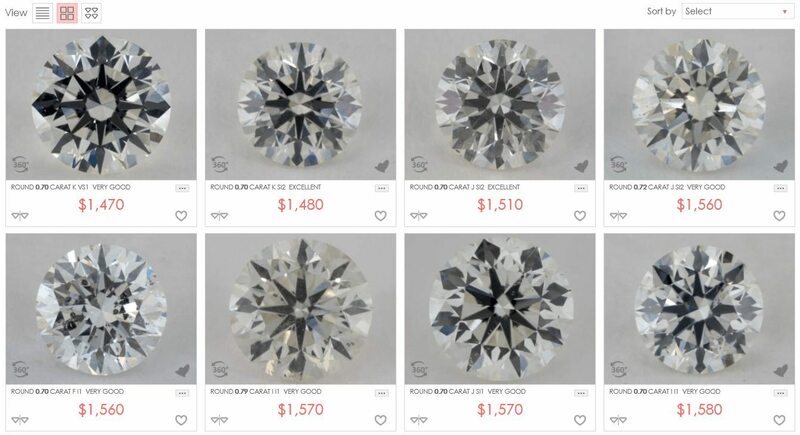 But looking at Blue Nile and James Allen’s search results using these specs: 1 ct G-VS2 Ideal/Excellent Round Diamonds, Blue Nile goes from $5,540 to $8,421, while James Allen shows $6,100 to $7,650. 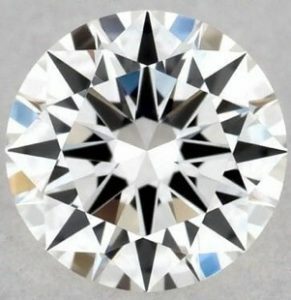 The only way, you can really know is to view the diamonds in HD videos and check their GIA certificates. Since James Allen offers a diamond display technology, you’re guarateed that the prices you’re seeing truly matches the gems’ quality.